Summer and holidays are among the most difficult times of year to maintain a steady and ample supply of blood. Typically, donor participation drops. Not so at 4imprint. 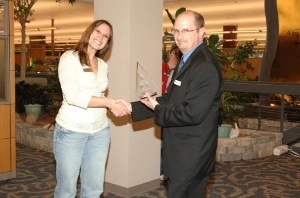 Recognizing the need, organizers at the online and catalog promotional products retailer scheduled two summer blood drives and two holiday blood drives in 2007. These efforts are just one reason the Community Blood Center Inc. presented 4imprint and its team members with its 'Overall Excellence' award. 4imprint hosted seven blood drives in 2007, collecting nearly 200 units of blood. Through its one by one® program, 4imprint also provided t-shirts for Operation Donation, a city-wide blood drive. And, 4imprint team members participate in Community Blood Center, Inc. committees and outreach efforts. "4imprint is a company that understands the need to take care of each other," said Carrie Tucker, Community Blood Center. "There is no replacement for human blood. It can't be manufactured. 4imprint's involvement shows that they want to take care of their associates and their communities." 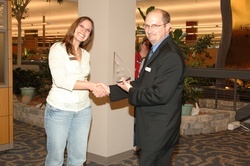 The Oshkosh Convention and Visitors Bureau named 4imprint its 2008 'Partner in Tourism' award winner. 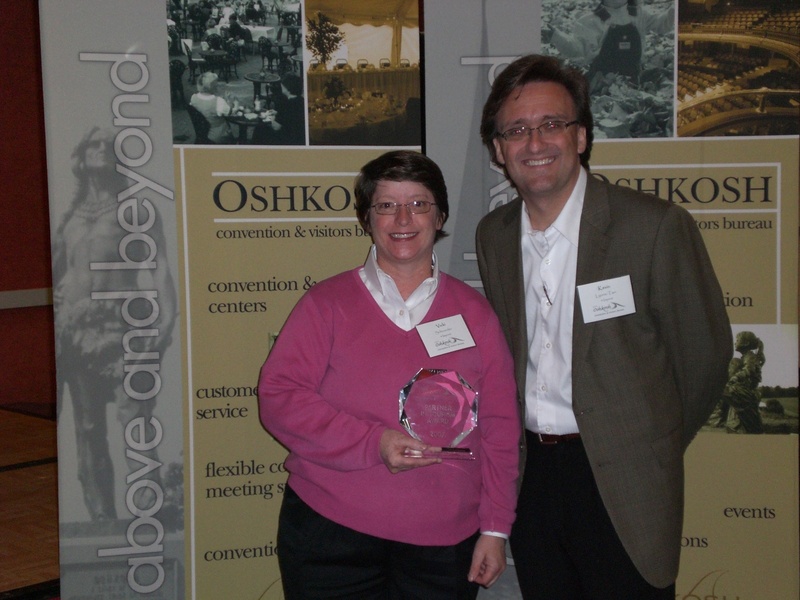 The award, presented at the 6th Annual Oshkosh Tourism Breakfast, recognizes a business for outstanding contributions to tourism in the Oshkosh area. For three years, 4imprint has donated imprinted products like mugs, pens, sport fliers and t-shirts to help recruit, welcome and thank visitors to the area. More than 10,000 welcome packets and gift bags are distributed each year to visitors attending conferences, events and athletic events. "4imprint is amazing to work with," said Wendy Hielsberg, Executive Director, Oshkosh Convention and Visitors Bureau. "They just get it. Their generosity helps put Oshkosh in such a positive light, attracting and securing business." According to a Davidson-Peterson survey, tourists spent nearly $200 million visiting Oshkosh and other Winnebago County communities in 2007, supporting more than 2,500 full-time jobs with wages totaling $52.5 million. "As a company, it's very important for us to be connected to the communities where our employees live, work and play," said Kevin Lyons-Tarr, President, 4imprint. "We are honored to support organizations that help make these communities better places to live." 4imprint provides businesses and organizations throughout the United States, Canada and the United Kingdom with promotional merchandise, including imprinted promotional products, advertising specialties and customized corporate gifts. 4imprint is part of 4imprint Group, Plc. For information in the United States, visit http://www.4imprint.com. In Canada, visit http://www.4imprint.ca. In the United Kingdom, visit http://www.4imprint.co.uk.